It’s with a great pleasure that we announce officially the signature of a new contract with Intelsat. Intelsat has been our satellite provider since 2004, and we have been working closely to deliver internet to the African market. Under the new contract, Intelsat will provide us capacity on IS14 satellite, C-band via the Fuchsstadt Teleport. This exclusive contract has been signed for a two-year duration. In order to replace the Intelsat 1R, the IS-14 comprises station-keeping subsystems, solar arrays, batteries and state-of-the-art command and control systems. The Intelsat satellite is equipped with no fewer than 22 Ku-band and 40 C-band transponders. All those transponders permit to benefit by 4 different beams. 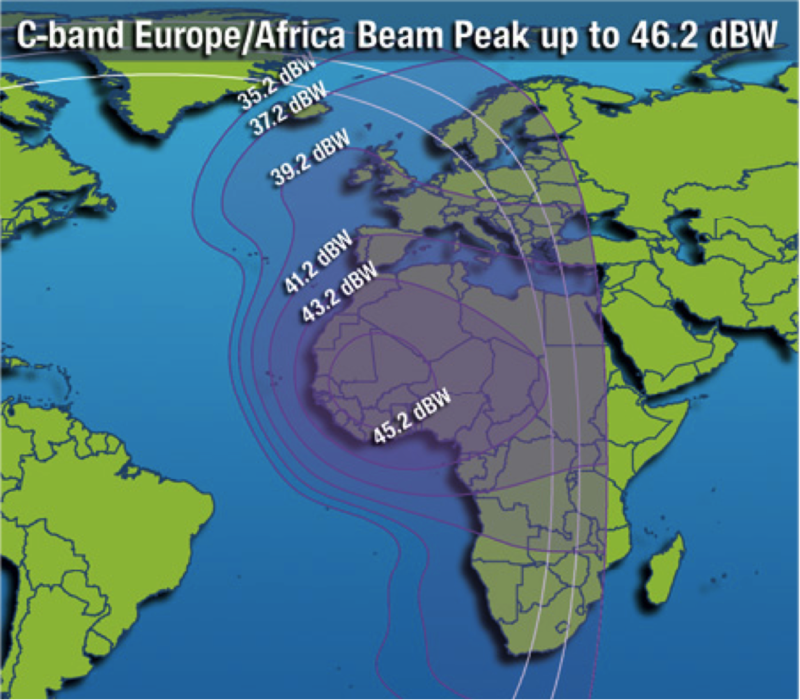 For more than 10 years, Afrikanet and Intelsat have been providing internet on C-band favors C-Band to provide the Internet in all the Africa through its Vsat solutions. C’est avec plaisir que nous vous annonçons la signature d’un nouveau contrat exclusif signé avec l’entreprise Intelsat. Afrikanet collabore, depuis 2004, avec l’entreprise luxembourgeoise. Et à partir du 10 juillet 2014, Intelsat fournira internet sous bande C via le téléport de Fuchsstadt situé en Allemagne, pour une durée de 2 années. Le satellite IS-14 a été lancé afin de remplacer le satellite Intelsat 1R. Ce satellite lancé il y a 5 ans comprend 22 transpondeurs de bande KU et 40 de bande C. Ce qui lui permet de couvrir 4 zones dans le monde. Afrikanet utilise depuis plus de 15 ans la bande C afin de fournir Internet partout en Afrique grâce à des solutions VSAT. High speed internet by satellite for ip video surveillance and professional mobile radio integration. Adding value to our customer’s daily task is one of our priority. By listening to their needs and determinations to have the job done, it’s without doubts that corporation challenge urgent to resolve is to improve the way they interact. Business being a person to person relation, many companies dream to have a telecommunication solution that integrate fast internet access ,voice communication , data exchange , GPS tracking Location , and remote video surveillance. To serve you best, we constantly invest our experience in studying and implementing solution adapted to the way you work and that help you to reach the targets. Whether you are an NGO, military organization, corporate service, governmental organization, Educational system or hospital this concerns you.